Eli Bannister is a sixteen year old freshman at Haver High School in a small town in Iowa. He has a hobby, or rather an obsession, namely coding for computers. In the previous year he witnessed a terrible event. A boy named Jordan Bishop deliberately set fire to himself in the canteen. He died of his injuries. It transpires that his self-destruction was the result of cyber bullying. The author imagines that as a result of this and similar events, the government changes the laws relating to cyber crime and young people’s use of social media in educational institutions. Every online site that is constructed on the net must be registered with the Cyber Monitors. Unregistered sites can be taken down. Their originators can be excluded from school. As part of the same reform there is an annual American Cyber Security Competition. The prizes for competition winners include internships with big high tech companies. One section of the competition involves building a website that intentionally bypasses the new regulations: it’s a kind of hacking chamionship. Eli enters the competition in a team with two other players who recruit him online. They decide to build a website called Friends of Bishop designed to humiliate those who harmed Jordan and led to his suicide. Their website will, they hope, get past the new rules. Lange’s novel poses the question whether Eli and his teammates will win the competition or find themselves in trouble. 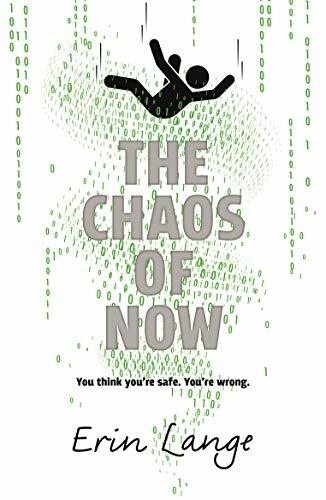 A YA novel set in what many people see as the mysterious cyber world is long overdue. The novel is narrated from Eli’s point of view. For this reason the reader is inclined to support the creators of the site and hope that it will defeat the regulators. As a result Lange poses a multitude of serious questions about the freedom of young people to exploit technology, the extent to which online games should be subject to government (that is to say adult) control, and where the revolutionary technology of the web will lead our societies. The novel ends with a massive and wholly unforeseen twist. This book should be read by educators as well as pupils. Educators need to understand the world their charges inhabit, magical or sinister.